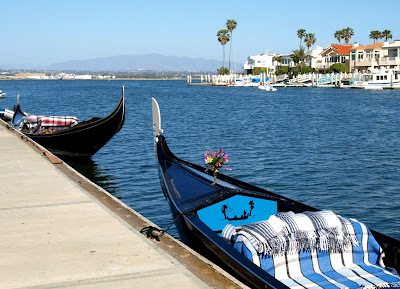 I dropped in on the gondola operation in Coronado, California today. 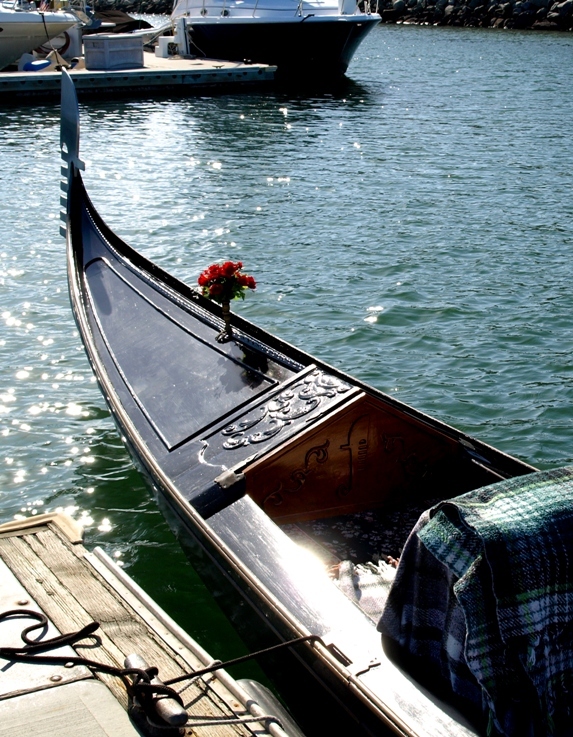 how to set up and run a gondola operation outside Venice. 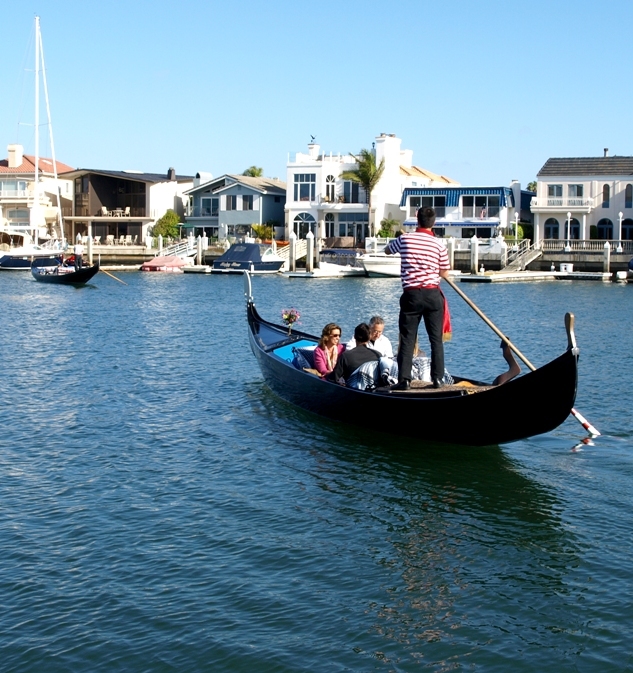 and yet this was the first time I actually got myself in a car and drove down the the San Diego area and saw it all first hand. I'd been on these docks before, but that was several years ago when another operator was taking passengers out on gondolas of a different sort. well-kept boats and gondoliers who represent the company well. but I don't dish out praise unless it's warranted. Here are a few photos I shot while standing on the dock, chatting with Sean. Sean and Eric built years ago. 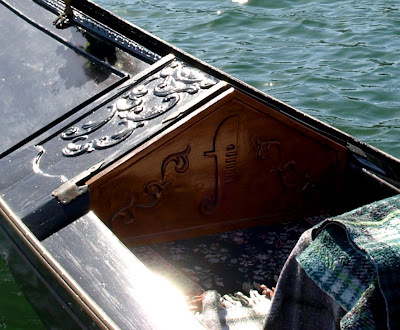 The bow of a gondola built by Daniele Bonaldo in Venice. 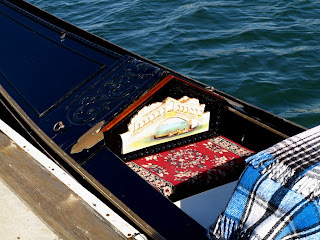 A closer look at the portela that Sean Jamieson carved to fit the boat. The stern deck of that same Bonaldo gondola. under the instruction of Maestro Bonaldo in his squero. 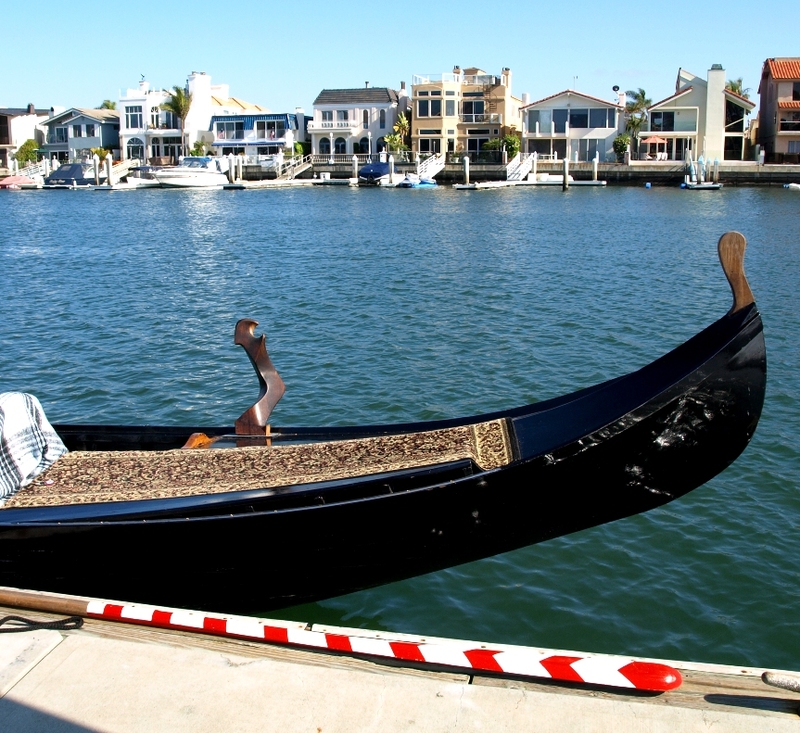 Two gondoliers preparing the boat for a cruise. 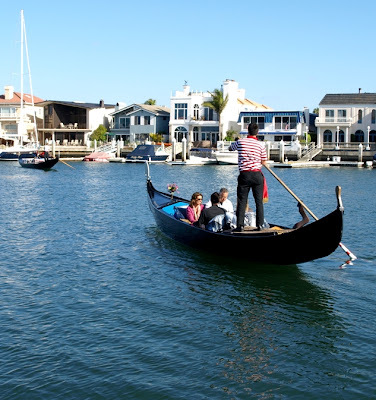 I was happy to finally get down to Coronado and see the boats with my own eyes, shake some hands, and crack a joke or two with some fellow gondoliers. 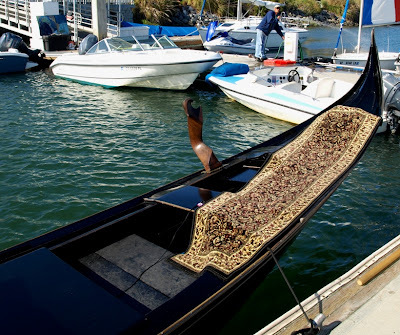 Next time I hope to catch these guys when they're taking out the caorlina, and maybe even do some rowing with them.